High on the wind-ravaged steppes of Druud, a gifted young stormcrafter called Disruptor was the first to unlock the secrets of the summer squalls. Constantly under assault from both seasonal storms and encroachment from civilized kingdoms to the South, the upland Oglodi have for centuries struggled to subsist atop the endless tablelands. They are the fractured remnant of a once-great civilization--a fallen tribe, their stormcraft strange and inscrutable, cobbled together from scraps of lost knowledge which even they no longer fully understand. For those on the high plain, weather has become a kind of religion, worshiped as both the giver and taker of life. But the electrical storms that bring life-sustaining rains arrive at a cost, and many are the charred and smoking corpses left in their wake. Although small for his kind, Disruptor is fearless, and driven by an insatiable curiosity. As a youth, while still unblooded and without a stryder, he explored the ruins of the ancestral cities--searching through collapsed and long-moldering libraries, rummaging through rusting manufactories. He took what he needed and returned to his tribe. Adapting a coil of ancient design, he harnessed the power of electrical differential and now calls down the thunder whenever he wishes. Part magic, part craftsmanship, his coils hold in their glowing plates the power of life and death--a power wielded with precision against the landed castes to the South, and any interlopers who cross into ancient Oglodi lands. 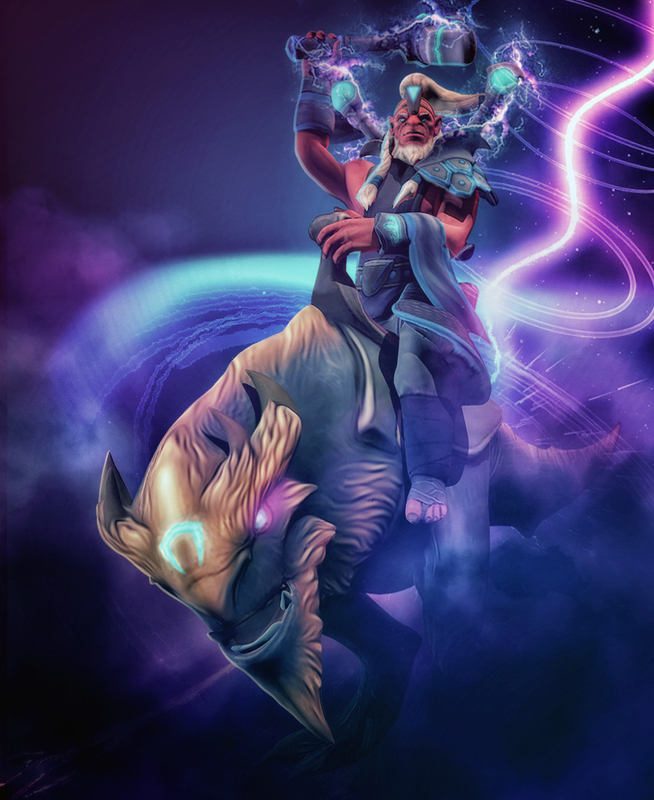 Disruptor is a kind of nuker-support hero that have some nice skill to help the team to win a teamfight. His skill is so unique, an come in handy. a thunder storm to harass on early game, a skill to make an enemy hero to come back to their previous position, a cage skill, and an aoe damage + silence skill. Repeatedly strikes the targeted unit with lightning. Each strike damages nearby enemy units in a small radius. This is your main skill for harassing enemy on early-mid game. The thunder damage is considering high on early-mid game. With this skill, your opponent will feel a painful thunder and can't stay near from you. The strucked target receive an aoe lightning three times, and nearby opponent from the target will also feel the damage. So, if there are some enemy that is stick in, you can damaging them simultaneusly. A cage that prevents enemy to come out of it, a very good to confine enemies and then you and your team can harass the prisoned enemy easily. This is your ultimate, a DPS skill that also silence the area for quiet a long time. Combined with your 3rd skill, your enemy will feel so much pain and your team will receive a lot of benefit. A very good skill in the teamfight. Why maxed Thunder Strike first ? This is your main nuke, you will need this for ganking, farming, and killing on early mid game. Why maxed Glimpse before Kinetic Field ? Glimpse is more useful in the mid game, because it is needed in ganking to avoid enemy to escape from your team. And 1 level of Kinetic Field is enough for early-mid game, and it will be good on late game for the teamfight that requires an AoE skill. On the early game, it is convenient to increase Thunder Strike first because this is your main skill for harassing and ganking for early game. The Thunder Strike damage is one of the greatest non-ultimate in Dota. So just use this skill on enemy's squishy hero and he can't stay calm on the lane. If your enemy's HP is at a low level, you can right click or use the Thunder Strike again to finish him. you can use Glimpse to chase the running enemy, or you can also use the Kincetic Field to cage the enemy. 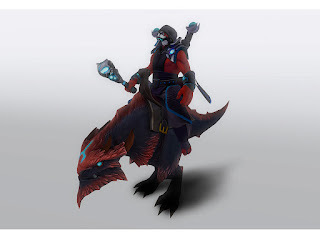 Disruptor is a very utility hero, he have so many usefulness foe the team, just use your skill in the right time and your team will receive lots of benefits from you. Mid game is the time for ganking. You need to roam around the map and find enemies in other lanes. So you can gank them and get some kills to benefit your team. Before the gank, ask your friend in the lane to help you gank the enemy. Tell your friend, which target you want to gank, so you and your partner can focus fire on him. If you already acquire your ultimate and your 3rd skill, you should combo those 2 skills. by using the Kinetic Field first and then casting your ultimate after it. The combo will make the enemy to be trapped, silenced, and receive some DPS, and then while they are trapped, you and your friends can harass them easily, you with your Thunder Strike and right click, and your frriends with their own skill. And this should be enough to kill the target. If you cant to catch the running enemy, you can use your 2nd skill Glimpse so your team can catch with the enemy. Late game is the time for teamfight that will decide the fate of the team because a late game teamfight is very deciding. The one who won a late game teamfight, can rax the enemy base quickly and increase the chance to win the teamfight by a much. You need to be 100% focus to win the fight in this late game stage. Use your eyes carefully, and click precisely. As an initiator, what you need to do is, first, find a sticked enemy, and the more enemy the better so you can cast the Kinetic Field on the enemy and then cast your ultimate after that. If you succeeed in doing this, your team will easily harass the trapped enemy and your team will likely to win the teamfight. The key is teamwork. Communication and chemistry is a big factor that will decide the result of the teamfight. So try to calm in every teamfight and enjoy the owning dota. They have some nice AoE skills that requires enemies to be stik in an area, and your Kinetic Field + Static Storm will lock down all enemies in the AoE and make your allies that have the nice AoE skill will easy to use their skill on the center of the enemy.